I had a lovely few hours in the kitchen this morning, with just some obligatory cheesy Christmas music, a cheeky Baileys and big Bertha the turkey for company. It was bliss. Big Bertha had a Christmas make over, and is ready for her long anticipated debut tomorrow. 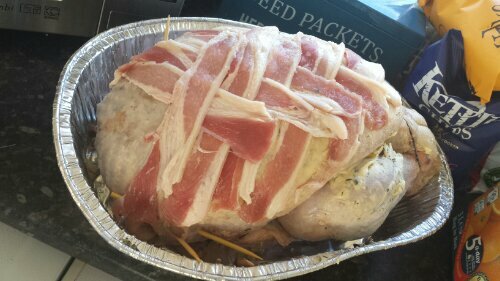 I smothered her with the herb butter I’d made earlier in the week, stuffed her with pork and chestnut stuffing I made last night, and criss-crossed some streaky bacon on her to finish the job off good and proper! Mmmmm! After a few hours in the oven tomorrow she should be delicious! 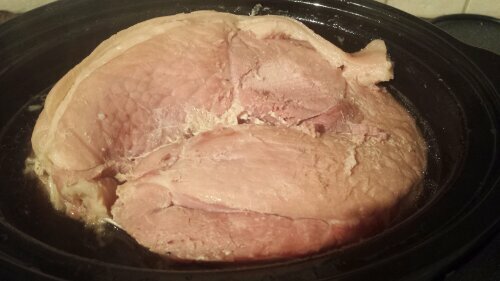 The ham has been cooking in cola since 8.30am and is looking gooooood! I’ve loosely followed Nigella’s recipe, although haven’t decided whether I can be bothered doing the glaze as it tastes delicious without it anyway. The carrots and sprouts are prepped, and the cauliflower is drowning in the most magnificently smooth cheese clad sauce. 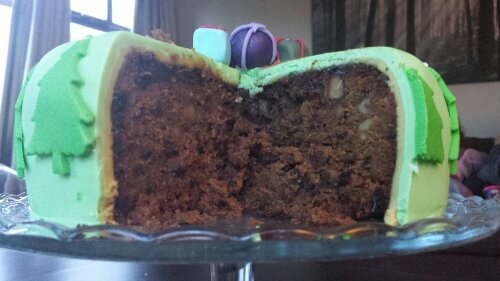 And we merrily tucked into the Christmas cake with a well earned cup of Earl Grey. Now all that’s left for me to do is put my feet up, let Mum make dinner tonight, and enjoy drinks with friends later. 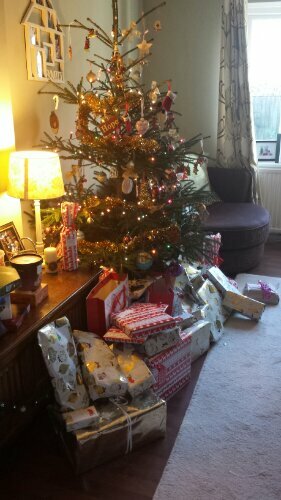 Oh, and of course wish you guys a very happy Christmas and prosperous new year! I’ll be praying you remember the real reason for this Holy-day and that you too recieve the best possible gift that was ever given to us. It’s yours for the taking… Believe and recieve. 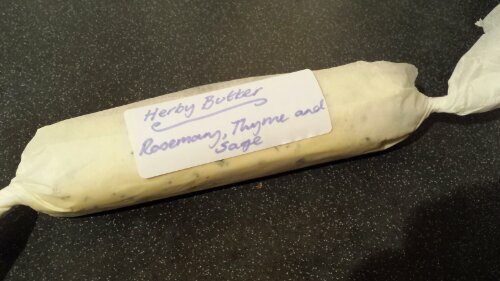 Herby butter to smoother on the turkey. 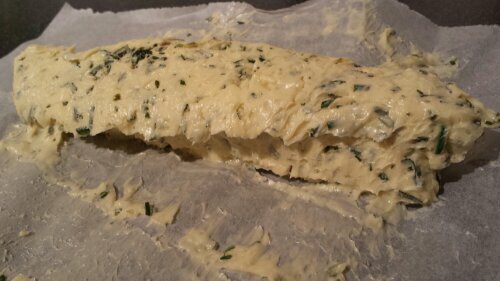 Turkey is a pretty bland meat, so to help our Christmas bird along a bit I’ve made a herb butter to spread underneath it’s skin. Putting it under the skin helps the flavours really permeate the flesh and keep the breasts extra moist. 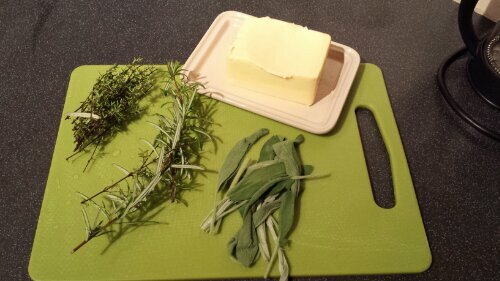 Herbs of your choice (I used rosemary and thyme from the garden, and some fresh sage too), salt, pepper and garlic to give it an extra kick if you fancy it. 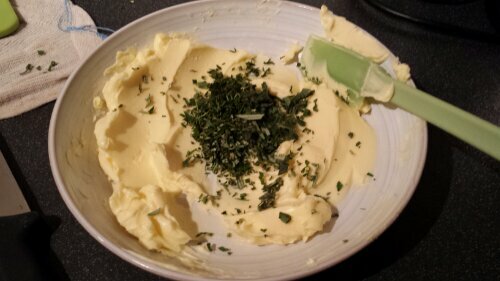 Soften the butter in a bowl and add the herbs before mixing thoroughly. 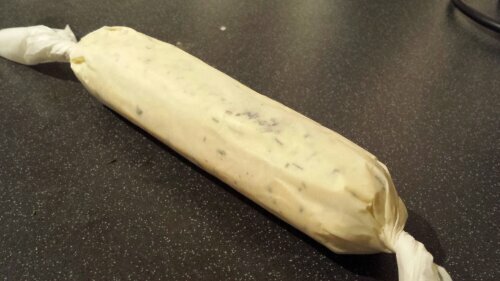 Dollop the mixture onto some greaseproof paper and shape into a sausage. 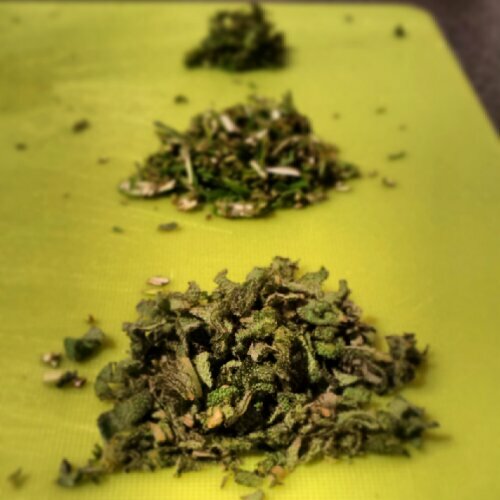 This can be frozen or stored in the fridge for a couple of weeks. It’s also great with steak, fish, spread on bruschetta.